Troops from five member-states of the Collective Security Treaty Organization (CSTO) have arrived in Kyrgyzstan to take part in joint military exercises. Kyrgyz military officials told on July 28 that units from the CSTO's six member-states -- Armenia, Belarus, Kazakhstan, Kyrgyzstan, Russia, and Tajikistan -- will take part in the "Enduring Brotherhood - 2014" maneuvers. The drill, on "Preparation and conduct of peacekeeping operations of the Collective Peacekeeping Forces of the CSTO in the Central Asian region", is scheduled to start on July 29 in Ala-Too mountains, near Bishkek. 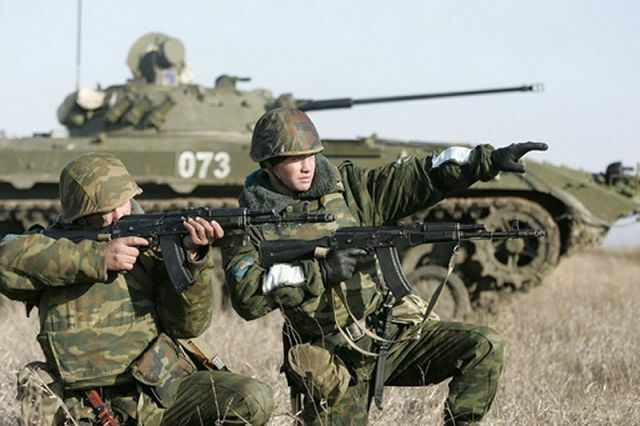 The military exercises will kick off 11 days after the CSTO's Collective Rapid Deployment Force, including Kazakh, Kyrgyz, Russian, and Tajik troops, conducted a four-day drill in Russia’s Chelyabinsk region.